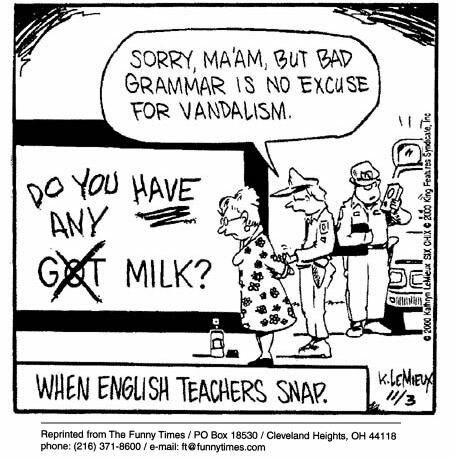 When English teachers snap: Sorry Ma’am, but bad grammar is no excuse for vandalism. Created about 6 yrs, 6 mths ago (October 19, 2012). Updated about 6 yrs, 6 mths ago (October 19, 2012).